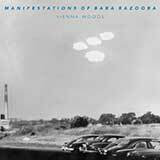 Get ready to take a trip through the mind of Baba Bazooba with the new release Vienna Woods. An imagined history, an alien invasion with chrome sitars, a cautionary tale by way of the Wizard of Oz; Manifestations of Baba Bazooba's third album is sure to walk you through a story of complacency - a cosmic drama on the verge and the ambiguous relationship between heaven and earth. Vienna Woods fills a soundscape of UFO's and time travel for any crackpot, visionary or cloud queen - deliberate and human. Vienna Woods is a homebrew made from potions of dust and memory, a ride through time and space in machines made by hand.